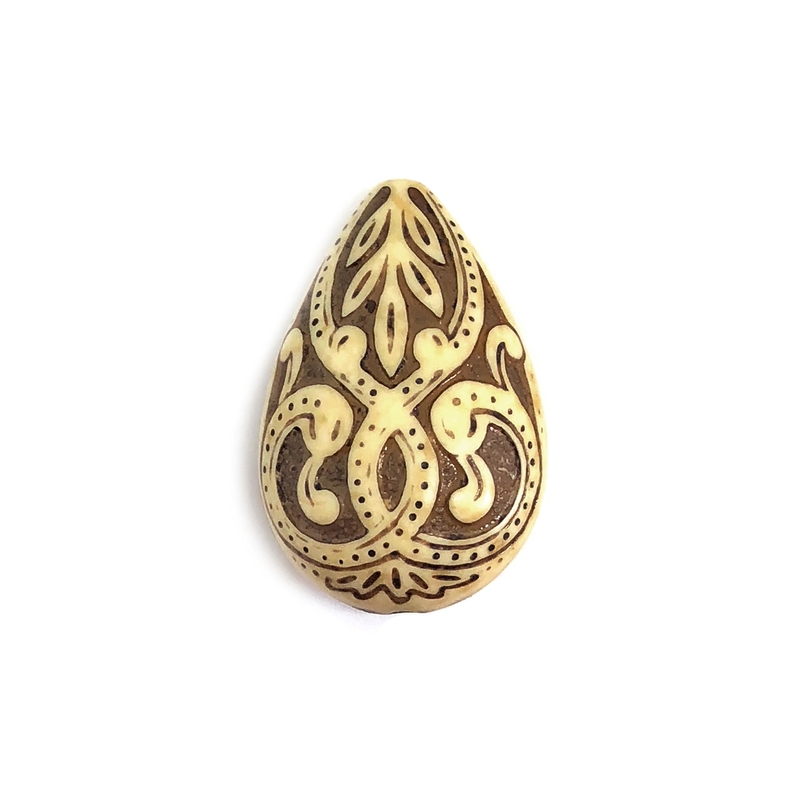 Mocha ivory teardrop bead, acrylic beads, teardrop beads, Victorian style, jewelry making, mocha ivory. Measures 27 x 17mm. Drilled top to bottom. Lovely antique ivory with rich mocha accents. Sold by the piece.